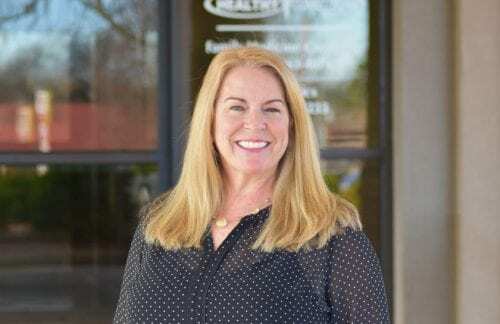 Healthy Connections, Inc., continues its Behavioral Health program expansion with the addition of Psychiatric Mental Health Nurse Practitioner (PMHNP) Charl Buxton. Buxton will practice at 3604 Central Ave., in Hot Springs. Her office can be reached by calling 501-463-4074. Western Arkansas is an area with limited availability of psychiatrists and the PMHNP helps bridge that gap for cost-effective mental health care. Buxton will diagnose and treat common psychiatric problems, mental illnesses, and crisis situations. She will also assess the mental health needs of individuals, families, and groups, formulate healthcare plans, implement treatment and evaluate the effectiveness of the patients’ short- and long-term progress. Buxton is able to see both established Healthy Connections patients and can take referrals from other healthcare providers. Healthy Connections’ Behavioral Health program features Licensed Clinical Social Workers (LCSW) in Hot Springs, Malvern, Arkadelphia, and Mount Ida, who diagnose and treat mental, emotional and behavioral health issues. LCSW’s provide therapy and treatment but do not prescribe medications. This is where the PMHNP steps in. Buxton is a graduate of the University of Cincinnati. She comes to Healthy Connections after working at Levi Hospital in Hot Springs. She is also a Women’s Nurse Practitioner. She said her life experiences – some of which have been traumatic – give her a special connection with behavioral health patients. “I feel like I can relate better to the mental health population because I have been through a variety of things. You have to be strong to get through these things,” Buxton said. Buxton sees patients Monday through Thursday. Learn more about Healthy Connections’ Behavioral Health program at www.healthy-connections.org/bh.